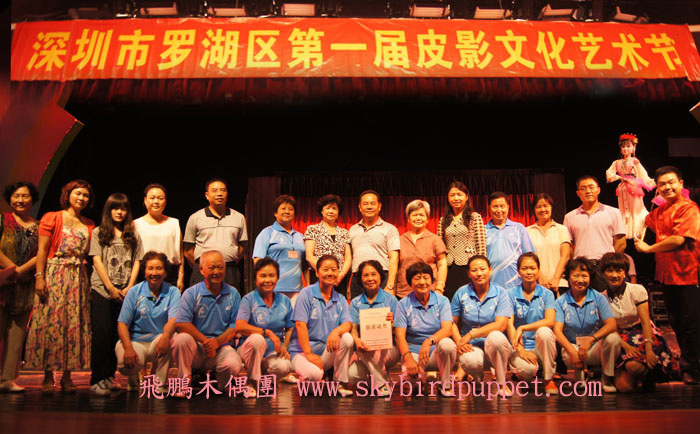 2012年9月27日,10月1,2日(共3天), 獲康樂及文化事務署邀請, 在中秋佳節夜, 於維多利亞公園演出木偶皮影戲, 每晚演出2小時, 吸引不少市民圍觀. 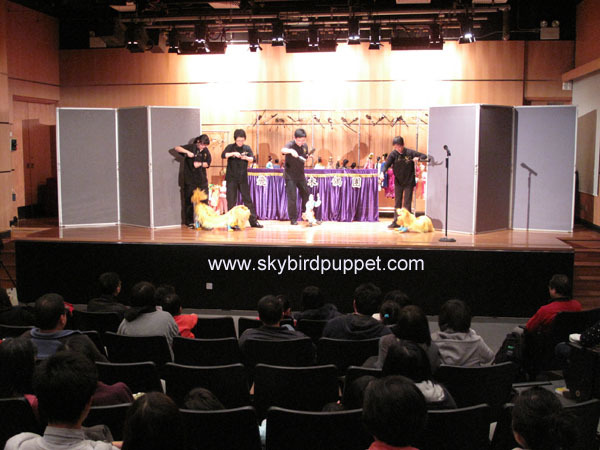 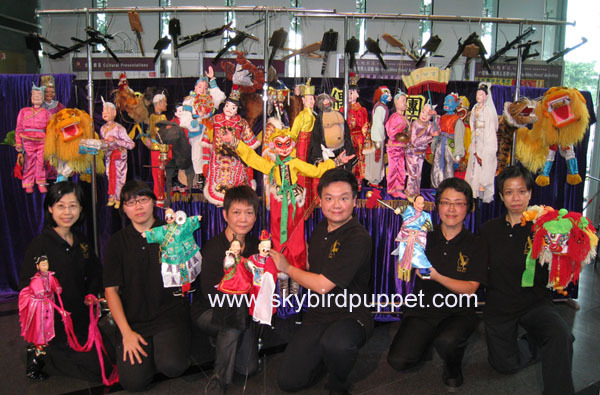 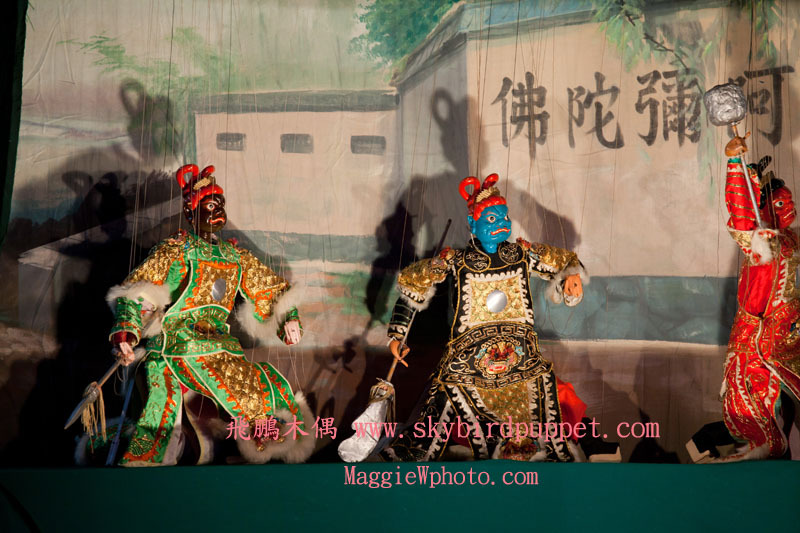 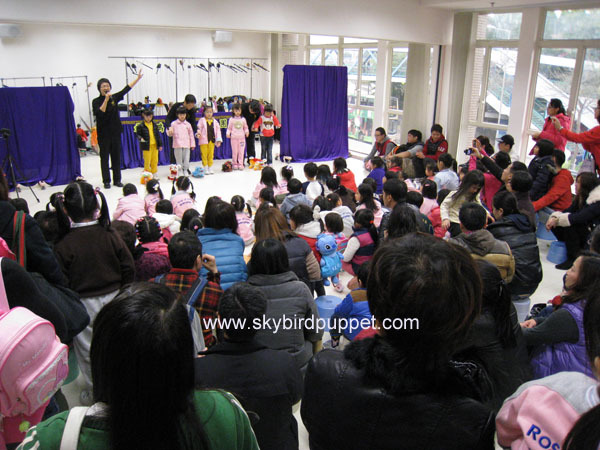 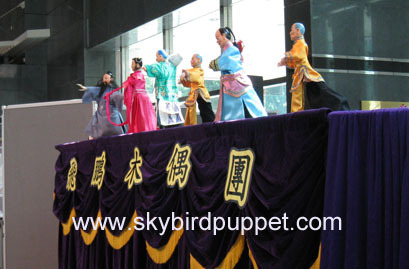 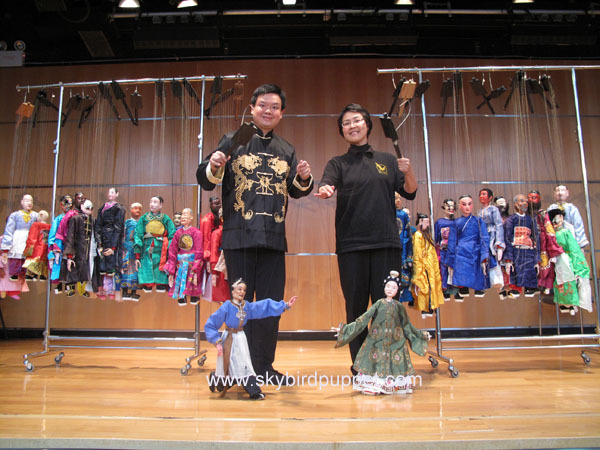 On 27th Sept, 1st Oct, and 2nd Oct, 2012 (3 days in total), the Leisure and Cultural Services Department invites our troupe to perform puppet shows in the Mid-Autumn Festival at the Victoria Park. 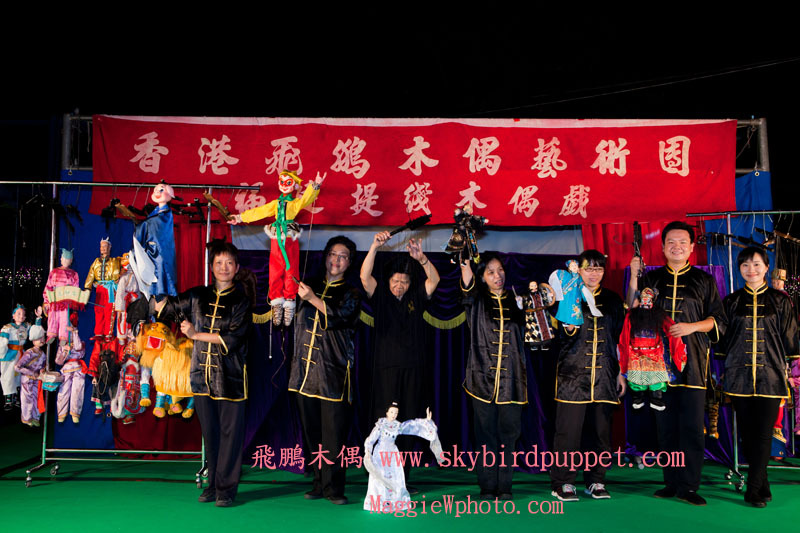 Each night, we perform 2 hours. 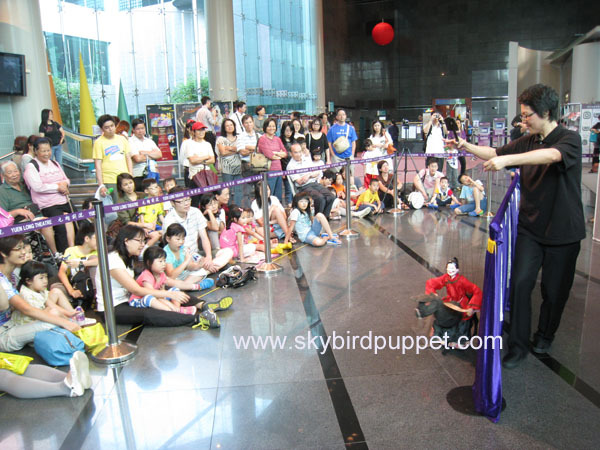 It attracts many people to see. 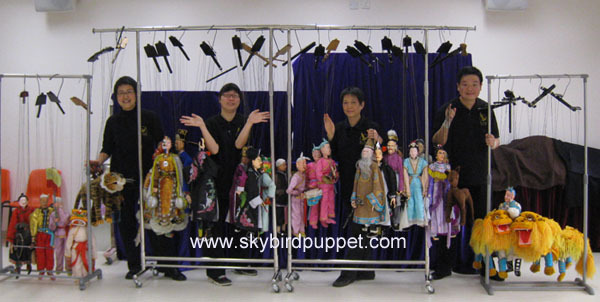 In the summer of 2012, we were invited by the LCSD Library to hold <Chinese shadow puppetry workshop> in five libraries. 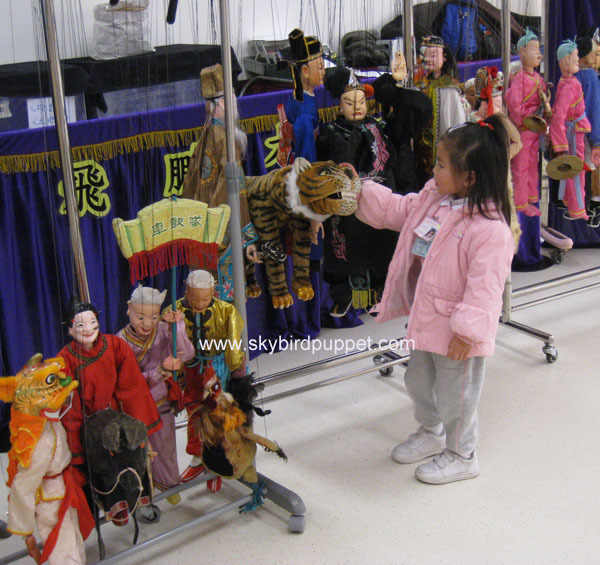 It provides students with a wonderful cultural experience. 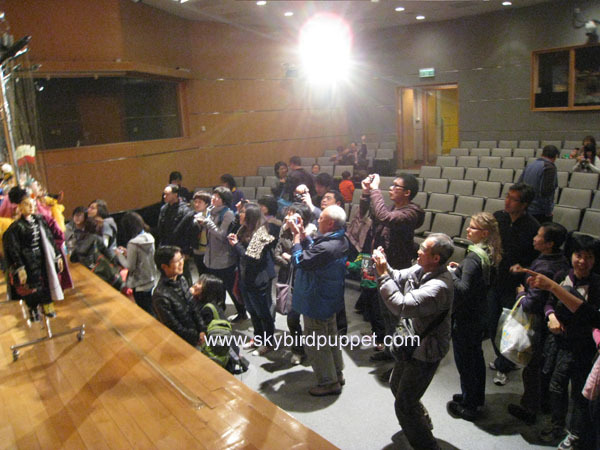 2012年夏天, 獲康文署圖書館邀請, 於全港5個圖書館舉行 <中國皮影戲工作坊>, 為學員提供一個精彩的文化體驗. 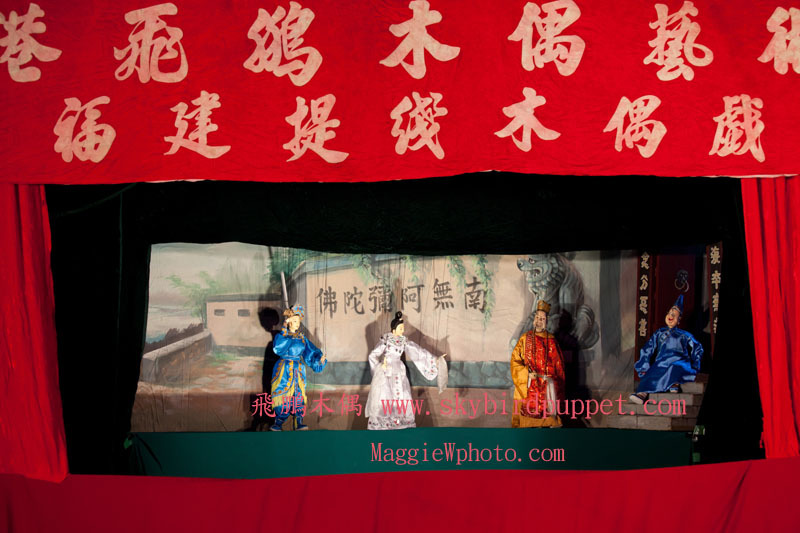 (Up) Family with hand-make paper and plastic shadow puppets. 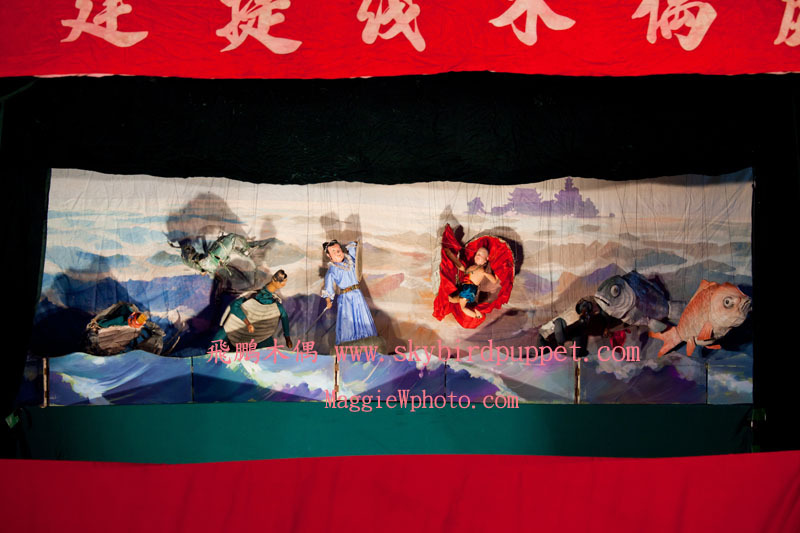 (Up) Children are very interested to the shadow puppet.